This story is not about the state of BRM five years from their final moment of glory at the 1972 Monaco GP. That would just be too pitiful to relate to. Not even Lotus in its final season made fools of themselves and the Lotus name in the way Lou Stanley made BRM fans hark back to the manner Messrs Mays and Berthon used to (and failed to) run the Bourne company. The marque's final exit was unworthy. Consigned to prequalifying disasters during its last lease of life, British Racing Motors silently left the Grand Prix scene through the back door - two back doors in fact, counting Teddy Pilette's prolonged agony in the 1978 Aurora series. Instead this is a story about a marginal figure of seventies Grand Prix racing. And not even that. In fact, we should be telling you the story of a full three generations of racers in the margins of motorsport: the Belgian racing dynasty fathered by Theodore Pilette and then continued by son André Pilette and grandson Teddy Pilette has been around from the dawn of motorized sports, lived to survive two World Wars and witnessed the advent of professionalism in Formula One racing. 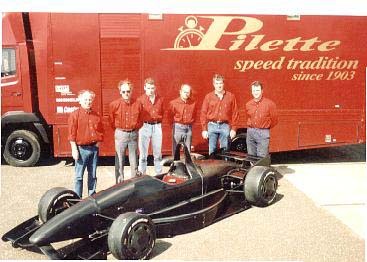 Today Teddy Pilette is at the head of the aptly-named Pilette Speed Tradition, an outfit that once produced the stillborn Pilette F3 car and in 2000 embarked on an overseas mission to promote F3 racing in the United States. The PRT team was there during the first United States F3 Championship event, fielding its Dallara-VW F300 and finishing third in the second heat with its driver Paul Jenkins. Promoting F3 in the States is a historic move - although the five-car field wasn't testimony to that! - but in keeping with the Pilette tradition it was one in the shadows of the big powers that move the top echelons of motorsport. This common treat was started off by Theodore Pilette, who was one of the first Europeans to compete in the Indy 500, taking fifth in the 1913 edition. That year was the highlight of granddad's career as he also finished third in the French GP. Mind you, this was not the ACF race but the one staged by Le Mans organizers ACO. A protegé of Gordon Bennett winner Camille Jenatzy, Theodore Pilette was one of the best known Belgian names in early GP racing. Working as the Belgian agent for Daimler-Motoren-Gesellschaft, he took over Emil Jellinec's role of representing the Mercedes name in motor racing. Pilette wanted to enter a team for the 1913 French Grand Prix but the entry was refused as only works teams were accepted and Pilette clearly wasn't the manufacturer. 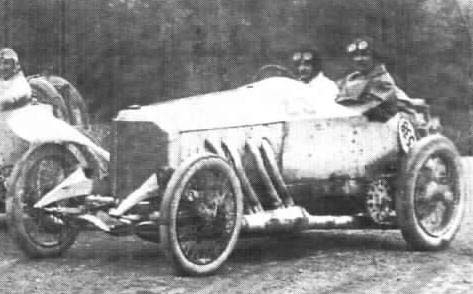 However the organizers for the 1913 Sarthe Club GP, held on August 5 at Le Mans, proved more reasonable and Pilette entered no less than four Mercedes cars, two with 6-cylinder 7.3-litre engines for Lautenschlager and Salzer, a 9.25-litre 4-cylinder car for Elskamp and a 8.9-litre 4-cylinder car for himself as a driver. Pilette was lying second on the penultimate lap but a tyre failure dropped him down to third behind the two Delages of Bablot and Guyot, the winning time being 4 hours and 21 minutes. In 1913 he also raced a 4.1-litre Mercedes-Knight at Indianapolis. Entered by Chicago publisher E.C. Patterson it was the smallest car of the field. Starting from 13th position on the grid Pilette made just one pitstop during the whole race and finished 5th with a steady drive. For the famous 1914 French GP Pilette was included in the works team. However, Pilette destroyed his gearbox even before the race started. He was able to start but would retire after three laps, a broken propellor shaft the culprit. Pilette's career was sparked by the buzzing motoring activity in his fatherland, the Ardennes being the first region to organize a circuit race. 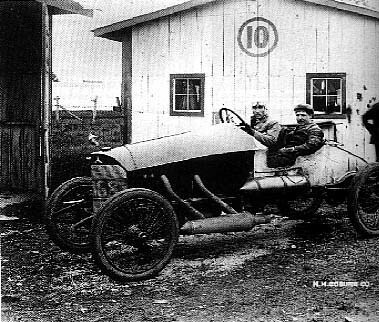 In 1906 he was listed as the driver of a Gregoire 70hp entered by Gregoire et Cie. for the Circuit des Ardennes. Yet he did not appear… Next year, same place, and Pilette entered a Mercedes for the race, but retired on lap 6 for unknown reasons. In 1921 Theodore died at a time Teddy's father André was only three years old. 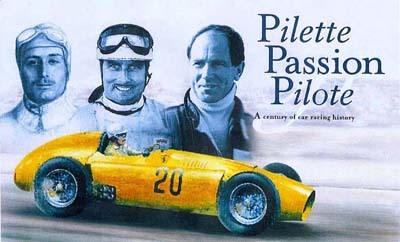 Nevertheless, the stories about Pilette I left a mark on André's plans for the future, as he started racing cars himself immediately after World War II had ended. At the start of the fifties, at the age of 32, he started taking his racing more seriously, joining up with the Ecurie Belgique, which ran Talbot-Lagos in the first few seasons of the World Championship. The highpoint of André's association with the national Ecurie came at his home GP in 1951, finishing sixth, which alas did not count for a point back then. A crash in the Dutch GP sidelined him momentarily before he returned to demolish the Lago at the 1952 Albi GP. In 1953 he made a return with Connaught, doing a deal to race at Spa and then was signed by Gordini, who needed someone to deal with their difficult T32 design. In World Championship events, André raced the machine twice but showed his true merit in several lesser events, including the classic GP des Frontières at the Ardennes village of Chimay and the French event of Cadours, taking second places in both of them. In 1955 André Pilette became one of the founding fathers of the Ecurie Nationale Belge. Racing Gordinis at first (here André is at the wheel of the last F1 Gordini, the radical T32, during the 1956 International Trophy) Pilette took just one win, taking the Coupe de Paris at Montlhéry. Continuing with ENB for 1956, the promise was there until a bad practice crash at the 'Ring caused his disappearance from the scene for almost two years. His second comeback was through sportscars, finishing fourth in the 1959 Le Mans 24hrs and taking second the following year, sharing a NART Ferrari with none other than Ricardo Rodriguez. ENB's misguided acquisition of the Emeryson-Climax machines spelled a return to single-seaters for André, but as the cars proved total disasters, this particular ENB adventure soon came to nought. By that time, son Teddy had embarked on a racing career of his own, reaching Formula Junior in 1962 before switching to sportscars. While André had two more disastrous forays into F1, first in 1963 with an ageing Lotus 18/21, then in 1964 with the revamped but abominal Scirocco, Teddy started making waves on board a Fiat-Abarth GT, then crossing over to saloon car racing. In 1965 he teamed up with Count Rudy van der Straten's VDS team and set off on a successful association with the brewery magnate that was to last well into the seventies. Driving Alfas and Lolas in Europe and North America, Pilette showing particularly well in CanAm races, before he and VDS made the switch back to single-seaters and the European F5000 championship. The series going into its first evolution, with cars now especially designed to the formula, Teddy's VDS Chevron B28 wrapped up the 1973 title. After Bob Evans took 1974 honours, Pilette was the second driver to take two European F5000 championships by claiming the 1975 and last title as well, this time on board a Lola T400. 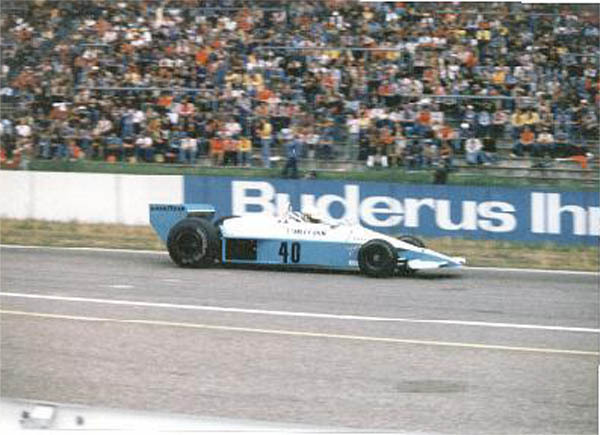 Before that, he had joined the legion of private Brabhams at the 1974 Belgian GP, the infamous Bretscher-Finotto machines amongst them, for his F1 debut. It was to be a stand-alone entry into GP racing, as it took him over three years to return to F1, having done a season of US F5000, where Brian Redman had ruled the roost for the past few seasons. 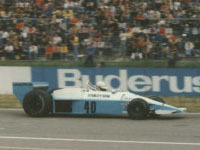 Then, three years after his Nivelles debut, Pilette was back on the grid of a F1 race. Well, actually, he wasn't on it. And for that matter, he was never going to be on it again. At the second German Grand Prix to be held anywhere else but the Nürburgring since Avus '58 Teddy wasn't even remotely in with a chance. At the Hockenheimring, this time replacing the only real 'Ring for good after subbing back in 1970 during the time the Eifel track was renovated, Teddy made what only can be called an inauspicious debut in the car previously campaigned - to no avail - by Aussie Larry Perkins (fresh from his equally refreshing Boro adventure), perennial F3 racer Conny Andersson and Guy Edwards. The BRM was a late entry and the No.35 that had been with the team since Andersson entered the fray had already been giving to Hans Heyer in the second ATS Penske. So Pilette was given No.40, the only occasion the BRM ran with the number. With 30 entries Pilette didn't need to prequalify so he had ample opportunity to sort the car on Friday and Saturday morning. Still, he got about as far as his predecessors, or rather, he fared even worse, ending up dead-last after the Saturday session was over. He was trailing the troubled Merzario and Fittipaldi by over 0.4s and one second respectively while his real back-of-the-grid opposition - consisting of Villota's ancient M23 and Neve's Williams March - were well over two seconds ahead. The poor Belgian had absolutely no chance. After skipping yet another race the team were back at Zandvoort. To give the locals some track time there was no prequalifying, although the organizers had 34 entries to contend with, with the also-rans wide spread among the entry list. The usual suspects for DNQs were the seriously underperforming Hesketh fleet of Keegan, Rebaque and Ashley; the double Dutch entry of Hayje joined by Bleekemolen, both driving their RAM-run F&S Marches; Neve in the Saudia Williams 761B (oh, how times have changed); Merzario, losing form in his private March; the two underperforming works Marches on their way to doom; the two Surtees cars, awaiting a similar fate within a year; and Henton in another Dutch disgrace, the Boro. Pilette was expected to belong in that group. He didn't disappoint expectation. Effectively, Teddy was dead-last yet again, since teenage rookie Bleekemolen could be forgiven for being totally out of his depth at this level. Same story in Italy, where Pilette was only nominally spared the ignominy of qualifying last. Binder in a badly misfiring Penske, gentleman racer Kessel destroying the apalling Apollon (née Iso-Marlboro IR3, before becoming Williams "FW03", a car dating back to 1973!) in a huge practice crash, and Giorgio Francia's third Brabham-Alfa withdrawn after first practice could hardly be called opposition. So should we come back on our initial promise and really go on and tell you the story of BRM's Grand Prix exit? Well alright, why not, but we'll keep it short. Having secured backing from Rotary Watches, Stanley claimed the classic marque from Bourne was on its way back to the top. Instead, the team hit rock-bottom. Remarkably, the car which was deemed to spell a return to form was designed by Len Terry, a demi-god alone for designing the glorious Eagle T1G. The P207 wasn't even a demi-dog, though, it was 100 percent canine. Paired with Aubrey Wood's ageing, underpowered BRM V12 it really had no place on a F1 grid. This led to Stanley being unable to attract star drivers, as the Owen Organisation had done all through the days that at least a half-decent driver such as Jean-Pierre Beltoise had been there. The only ones interested in taking a risk with the Stanley-BRM team were poor Bob Evans, Ian Ashley (in BRM's single 1976 outing), Perkins, Andersson, Edwards and Pilette III. All of them reasonably talented but totally unexperienced at this level, it was to no-one's surprise they failed. The embarrassment of not qualifying for its home race finally led to Rotary withdrawing their sponsorship. The watch company even went one step further than merely withdrawing, going to court with BRM over a return of their money! It led to the P207 showing up in Hockenheim with its light-blue Rotary colours lacking any suitable Rotary wording. Were those three frightful qualifying experiences the end of the road for Pilette and his F1 aspirations? As far as World Championship appearances were concerned, yes. But being a glutton for punishment, Pilette decided to campaign the dreadful machine in the inaugural Aurora AFX championship of 1978. Stacked up against the same usual suspects Teddy encountered during his World Championship spell with BRM, he was thoroughly outpaced yet again by the Villotas, Trimmers and Edwards of this world, whose old but practical McLarens, Marches and Heskeths could still beat a P207 any day. 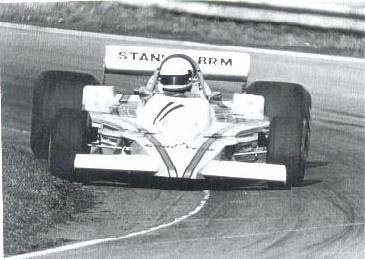 Here, at Oulton Park, Teddy scored his best finish with the car: narrowly beating fellow BRM reject Bob Evans to fourth. With fastest lap to go! By then, his glory days with Count van der Straten must have become a shallow memory. And what about BRM? There were rumours of a restart during 1979, but then also the rumour about David Hunt or Toine Hezemans or anyone planning a Lotus F1 revival is celebrating its fifth anniversary. With Pilette's marginal appearances in a marginal championship the once celebrated marque disappeared from the scene, its stock bought by F1 enthusiast John Jordan, who on occasion fielded the P207 as a Jordan-BRM in British F1 meetings and club events. To go full-circle: it was just as embarrassing as the first ever BRM start (or rather, lack of it), Raymond Sommer breaking the clutch of his infamous V16 BRM on the grid of the 1950 International Trophy at Silverstone. The decline of the BRM team started to get serious at the end of 1973. The team not only lost drivers Niki Lauda and Clay Regazzoni to Ferrari, it lost the backing of Marlboro as well. In 1974 the BRM cars were driven by a trio of French drivers: Jean-Pierre Beltoise, Henri Pescarolo and Francois Migault. They used hardly modified BRM P160E's and a new type, the P201 designed by Mike Pilbeam. This car was to be a minor improvement. In 1974 it became clear that BRM's homebuilt V12-engines where the main reason for the lack of speed. BRM claimed that they produced around 460 bhp but on track it was obvious that the cars had a lot less power avaible. Apart from Beltoise's second place in South-Africa (thanks to a lot of retirements) and a pair of fifth places the season showed no signs for a better future. At the end of 1974 the Owen Organisation decided to close the team's doors. But it was teammanager Louis Stanley who thought the team could survive. He took over the remains of the team and changed the name in Stanley-BRM. In 1975 Mike Wilds and Bob Evans drove the sole entry without success. In 1976 the team and its car showed up only once in the hands of driver Ian Ashley. 1977 became BRM's final year. Despite a new sponsor (Rotary Watches), a new driver (Larry Perkins) and a new design (the P207 from free-lancer Len Terry) the famous BRM-name became synonimous for failure. The brand-new P207 was shipped to Argentina, or better, it should have been... On the airport it turned out that the crate with the P207 in it was to big to fit through the airplane doors. The second approach, before the Brazilian GP, succeeded however. In the hot conditions at the Interlagos circuit it showed that the car had only been tested once (on a cold day just after Christmas in England). As there were only 22 entries, the off the pace BRM started anyway but retired after just one lap with an overheating V12. At the third race BRM entered the old P201 and Perkins managed to get the car to the finish, five laps behind winner Niki Lauda. 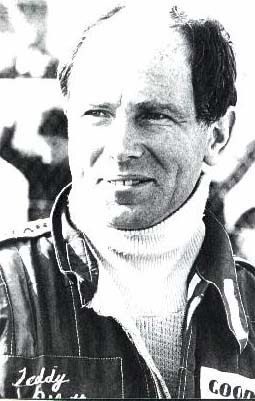 Driver Larry Perkins' critical remarks afterwards were the main reason for replacing him. Sweden's Conny Andersson did one very wet test at Silverstone and was signed. His struggle for qualifying lasted four unsuccesfull attempts. The appearance of a second chassis of the P207 didn't help. It only led to cynical remarks: "Can you imagine? They built one, saw what it was like, and then they built another one..." At the British Grand Prix Guy Edwards tried to pre-qualify the Stanley-BRM. He failed as well. The final BRM driver in Grand Prix history was to be formula 5000-star Teddy Pilette. Unsurprisingly he also failed to qualify the P207 at the last three Grand Prix where BRM showed up. After final qualifying at Monza (on the 10th of September 1977) Louis Stanley decided that the struggle for life had lasted long enough. Stanley sold the equipment to John Jordan's team. The folowing years Jordan entered a P207 in some races of the British Formula 1 championship. On these occasions Teddy Pilette and Tony Trimmer were usually driving the car.